This paper examines spatial variations of urban growth patterns in Chinese cities through a case study of Dongguan, a rapidly industrializing city characterized by a bottom-up pattern of development based on townships. We have employed both non-spatial and spatial logistic regression models to analyze urban land conversion. The non-spatial logistic regression has found the significance of accessibility, neighborhood conditions and socioeconomic factors for urban development. The logistic regression with spatially expanded coefficients significantly improves the orthodoxy logistic regression with lower levels of spatial autocorrelation of residuals and better goodness-of-fit. More importantly, the spatial logistic model reveals the spatially varying relationship between urban growth and its underlying factors, particularly the local influence of environment protection and urban development policies. 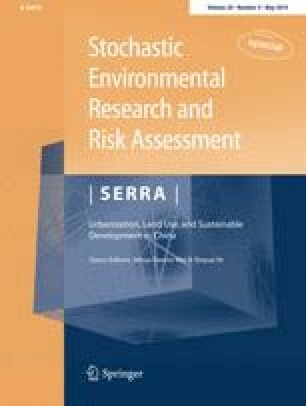 The results of the spatial logistic model also provide clear clues for assessing environmental risks to take the local contexts into account. An earlier version of this paper was presented at the GIScience 2012 conference, Columbus, Ohio, September 18–21, 2012. We wish to thank two anonymous reviewers and thank Dr. Steven Farber at the University of Utah for his valuable comments and suggestions in spatial statistics. We would also like to acknowledge the funding of the Lincoln Institute of Land Policy (CYW010511), the Natural Science Foundation of China (41028001), and the University of Utah Funding Incentive Seed Grant (51003414).